Campbell Plumbing and Mechanical Contractors Southeast, Inc. is a full-service commercial plumbing and mechanical contractor headquartered in Jacksonville, FL. Our plumbing scope of services includes general plumbing, process piping, fuel piping, stainless steel piping, medical gas installation, prefabrication, and more. Our HVAC scope includes air distribution systems, direct expansion (DX) systems, chilled water systems, heated water systems, vacuum systems, compressed air, natural gas, glycol systems, steam systems, automation and controls, and more. Our in-house sheet metal fabrication shop can produce over 300,000 lbs. of ductwork per month. Our fabrication lines can manually produce fittings and reducers and produce spiral duct. We own and operate a fully automated coil line for producing straight duct. We also have the in-house capability to fabricate both industrial and specialty hoods. 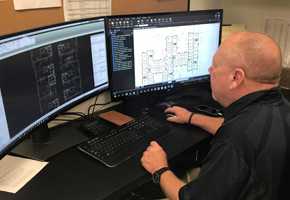 On the plumbing and steel-piping side, we’re able to take Revit or CAD drawings and create spool drawings, allowing us to prefabricate assemblies ranging from plumbing underground and in-wall systems to fully-equipped mechanical rooms. These means and methods allow us to continue working on your project even when site conditions might not allow. This ability to prefabricate diverse types of plumbing systems is limited only by our imagination. With close to 200 employees, our office and field staffs represent a diverse collection of talent and experience. Our management team alone has over 700 years of collective plumbing and HVAC industry experience. We work throughout the Southeastern U.S including Florida, Georgia, South Carolina, North Carolina, Louisiana, and Alabama. Additionally, we’ve followed our clients to Texas, Oklahoma, California, Rhode Island and New Jersey. Essentially, we go where our best clients want us to go. Our projects include both new construction and renovation work. Our customers are many of the leading general contractors in the Southeast. These same firms in turn deliver projects to Owners large and small, including but not limited to, Amazon, FedEx, Niagara Foods, Publix, Hyatt Hotels, US Cold Storage, LA Fitness, countless financial institutions, and hospitality & retail clients. In addition to Campbell’s private sector presence, we regularly perform work for federal, municipal and institutional entities on military installations, hospital grounds, and school campuses. Campbell can assist you at the earliest stages of your project. Our preconstruction services include value engineering, budget generation, constructability reviews, specification assistance, facility audits, and more. Our in-house design and engineering staff can provide services ranging from early-stage clash detection and 3D modeling to complete design-build services. Let Campbell Plumbing & Mechanical Contractors help you with your complete plumbing and HVAC needs. Utilizing BIM, we can create and manage information that can be useful during all phases of the project including conceptualization, design, clash detection, construction, administration, cost management, facility operations, material selection, and more. We maintain active Autodesk licenses for AutoCAD MEP, Revit, Navisworks, ArchiCAD, and the complete AEC Collection. Campbell is at the forefront of subcontractor safety. 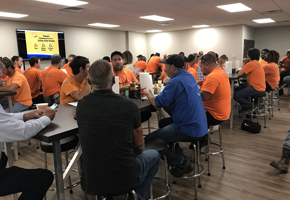 For the fourth consecutive year (2015-2018), we achieved a “Diamond” rating in Associated Builders and Contractors’ (ABC) Safety Training Evaluation Process (STEP) program. A Diamond rating is the highest possible STEP designation achievable. Fewer than 2% of STEP applicants achieve Diamond status. According to ABC’s 2017 Safety Performance Report, STEP participants are 770% safer than companies that do not participate in STEP. They also see an 87% reduction in Total Recordable Incident Rates (TRIR). Campbell enjoys a 2018 Experience Modification Rating (EMR) of .61 – well under the industry average of 1.0. Our field personnel are using technology to enhance project quality, cost, and schedule. 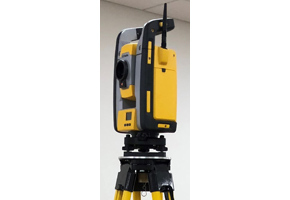 Their jobsite tools include Trimble Robotic Total Station for laser-accurate field layout, tablet-based versions of NavisWorks Manage and/or BIM 360 Glue for access to the project’s 3D BIM model, and PlanGrid, ProCore, BIM 360 Team, and/or Box for project document control. Project updates and communications have never been more streamlined than they are now. Copyright © 2018 Campbell Plumbing & Mechanical Contractors Southeast Inc. All rights reserved.